What a weekend at the IFSA Regional event at Crested Butte Mountain Resort! Twenty-six CBMST members registered for the event with a handful of strong local skiers and riders as well. 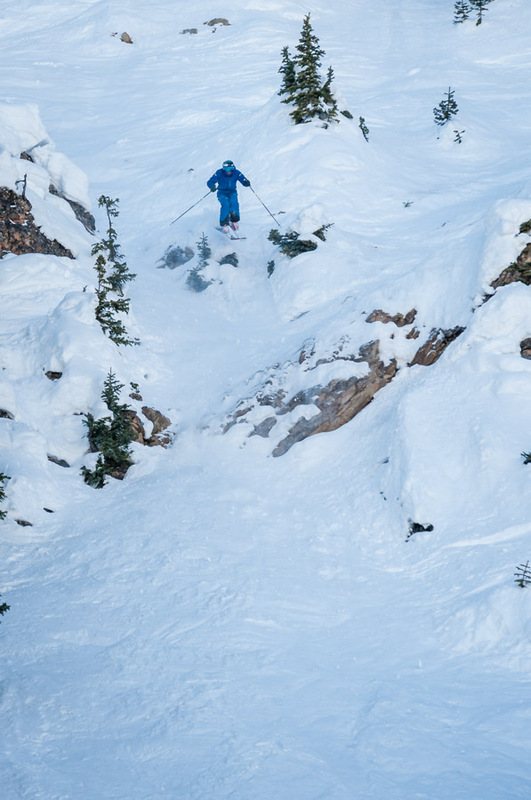 93 athletes descended on the famed Headwall and Sock-it-to-me Ridge venues, trying to build their line score and impress the judges with fast, technical skiing and riding. On Saturday the action started off on Headwall with the majority of skiers and snowboarders taking on the Angle Gully. For a lot of local athletes in the U12 division, this was their first rodeo and they did not disappoint. Local boy Tor Hudson was able to take an early lead with a strong run between Box Rock and Angle Gully. CBMST’s Aiya Schwartz hit some features and skied the Powder 8 gully to slot herself in 2nd place with her teammates Mia Haverkampf and Meadow Vaughn not far behind in 5th and 6th, respectively. 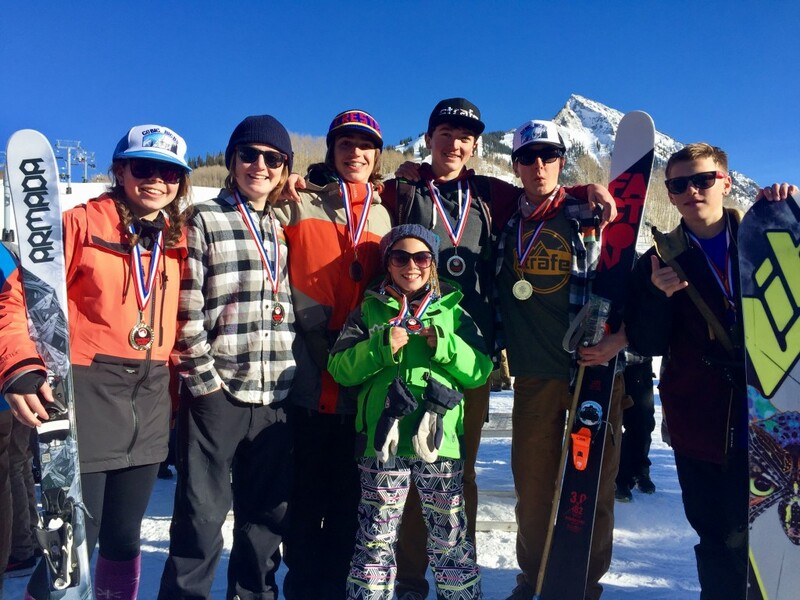 The 12-14 contingents of male and female skiers and snowboarders were throwing down lines that were competitive with their older counter parts. Dagan Schwartz, the CBMST’s lone snowboarder in competition, put a line down the Angle Gully that would compete with the adults that are coming to town this weekend for the FWQ series. Skiing above their age seemed to be a theme as athlete after athlete came down with impressive skiing and riding that just showcased the hard work these athletes are putting in. Brooks Hudson led the local charge in the 12-14 boys ski division with an awesome combo of Pankey’s Pocket, Box Rock and Hollywood to take 1st on the day. CBMST athletes Kye Matlock, Seve Petersen, Marko Alling, Carson Hildebrandt, and Holden Bradford all had similar lines down Angle Gully with strong airs out the bottom to finish in 2nd, 3rd, 4th, 6th, and 8th, respectively. Cooper Wight was able to make the finals as well in 11th while local independent athletes Charlie Cox and Jacob Bernholtz were also able to throw down strong lines to finish in 6th and 17th, respectively. On the female side of things, Avery Bernholtz had a super fluid line down Angle for 3rd that was matched by her friendly Taos rivals Charlie Ulrich in 2nd and Pippin Katalevsky in 1st. Ella Haverkampf powered her way into 5th place and Emma Jean Lovett qualified for finals in her 1st competition in 8th place. Not to be outdone by their younger counterparts, the 15-18 ski men had their work cut out for them. Turner Petersen led the charge with a powerful double out of Angle Gully that put him in 1st place on the day. His CBMST teammate, Jon Clay Patterson was right behind him in 2nd. 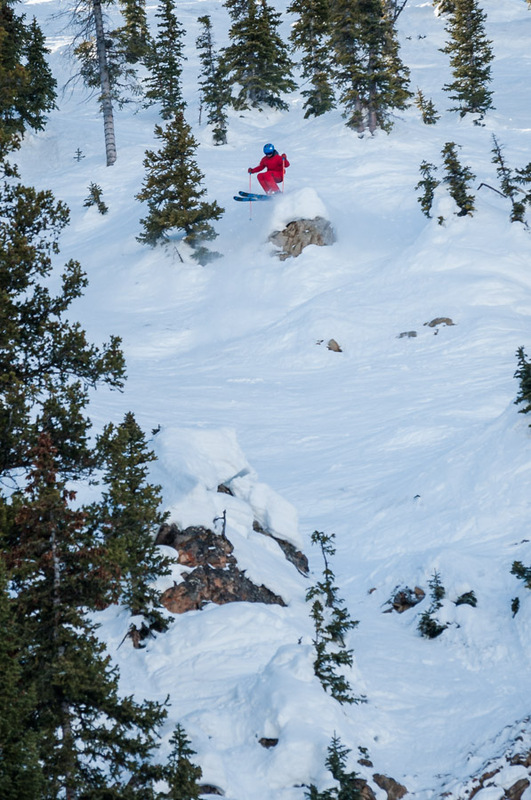 Following his strong 3rd place at Telluride a couple weeks ago, Dylan Alagna was able to slot himself into 6th place with the popular big exit out of Angle Gully, with telemark bindings no less. The venue moved to Sock-it-to-me ridge for finals and the athletes did not disappoint. With the majority of athletes choosing between Little Hourglass and Cesspool, the local familiarity with the terrain continued to shine as the cumulative score from both days would determine the final rankings. The U12 athletes held it down with Aiya Schwartz holding on to 2nd place for the event and Mia Haverkampf and Meadow Vaughn maintaining in 5th and 6th place, respectively. On the boys side of things, CBMST members Navin Federico and Nikolas Beukelman were able to move up to 9th and 6th, respectively, while local independent Tor Hudson was able to hold on to 1st despite a strong attempt by regional competition from Winter Park, Breckenridge, Aspen, and Taos to dislodge him. The 12-14 divisions kept up their strong skiing and had the chance to take on Little Hourglass if they chose to do so. Dagan Schwartz played it smart and greased Cesspool to take the win after his 2nd and 3rd place snowboard competition had some control issues. Avery Bernholtz made some moves and made Little Hourglass look like a groomer to move up from 3rd to 1st, edging out Pippin Katalevsky by .37. Ella Haverkampf skied Cesspool very fluidly to hold on to 5th place while Emma Jean Lovett slipped to 9th amidst the strong regional competition. Eager to throw down in Little Hourglass, the 12-14 boys took the momentum from Headwall and slayed in the finals. There was a little bit of switching around in the top 10, but it mostly stayed the same in the finals. Brooks Hudson held on to 1st greasing Little Hourglass and edging out Kye Matlock by .34 overall. The Crested Butte boys dominated the top 10 with Seve Petersen in 3rd, Marko Alling 4th, Carson Hildebrandt in 6th, Charlie Cox in 7th, and Holden Bradford in 8th. Cooper Wight finished up in 12th and Jacob Bernholtz in 18th. When the 15-18 year old ski men stepped up to the plate, the crowd knew action was going to go down as most of the spectators shifted towards viewing little Hourglass. There were no crashes in the finals for this division as local athlete Owen Berv moved up a spot to 12th. The CBMST athletes used their knowledge of Little Hourglass to post some strong scores; Dylan Alagna had 3rd best score in the finals to move up to 4th place. Jon Clay Patterson went absolutely huge off of the Smokestack in Little Hourglass and managed to get held up by a snow snake in the runout so he maintained 2nd and was unable to catch his teammate, Turner Petersen. Turner’s run extrapolated on the popular double through the choke in Little Hourglass with a higher 1st take off. Team Summit’s Adam Strassburger deserves some recognition with the highest score of the day to put him in 5th place and Steamboat’s Bryan Gilbertson had the 2nd best score to move up to 3rd place. When you run 25 athletes in an event of 93 and 17 athletes get top 10 results, you’re going to be stoked. 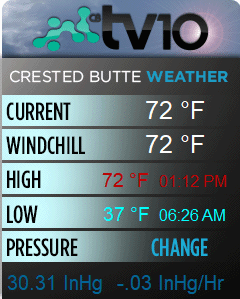 A big shout out goes to the CBMR events crew and Crested Butte Professional Ski Patrol for running an outstanding event. The CBMST is next heading to Taos, NM this week for a Regional and National event combo. The next action at home is in a month for the IFSA National event here. We look forward to seeing everyone out there!